I gave up sweets and snacks for Lent. 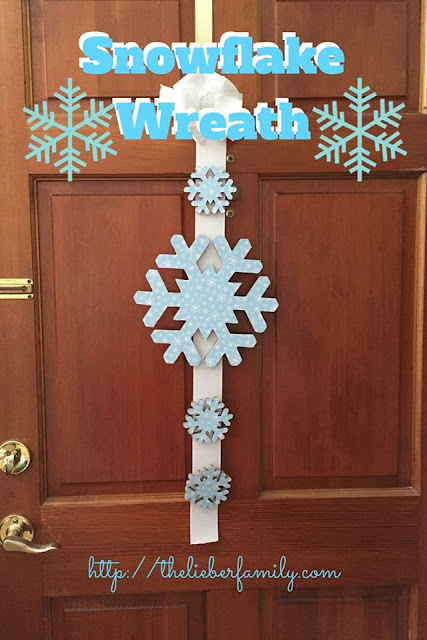 It wasn't as hard as I had originally thought, but there were a few days that I cheated. The main one was my birthday week. It would have been rude to turn down goodies made especially for me on my birthday, right?! 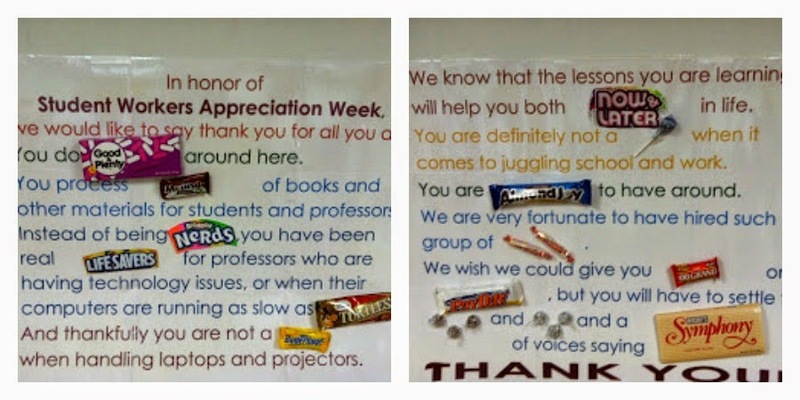 It was especially hard during Student Worker Appreciation week here, because we brought in lots of goodies for the student workers, and I stayed away from them all. I even had a little help since my co-worker put coconut on the brownies she brought in so as not to tempt me. Now that Lent is over, I don't have to stay away from snack and sweets completely, but I'd like to keep my consumption lower than it was before. I could probably listen to my advice to the kids and have just one piece a day. 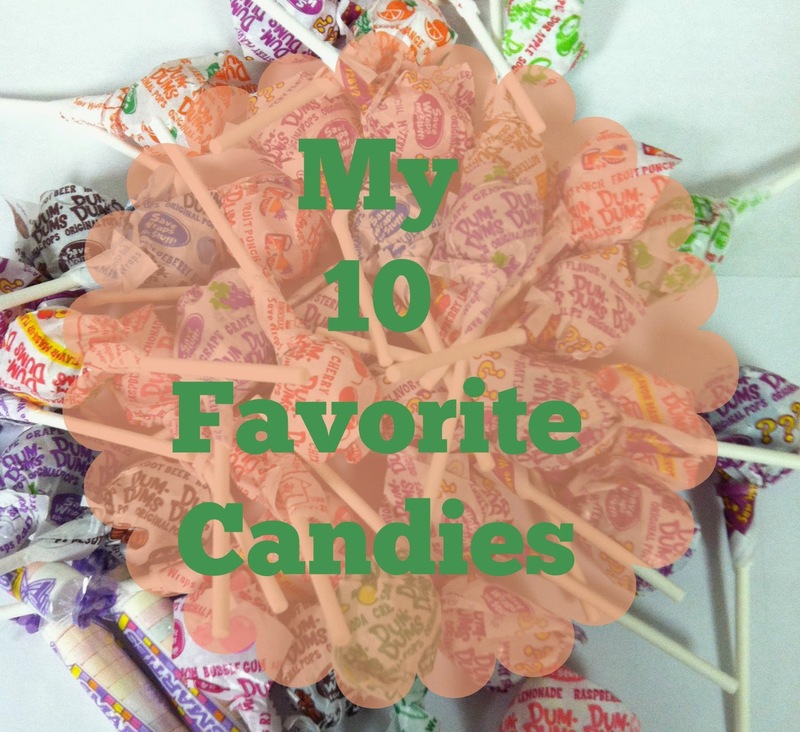 With the recent Easter holiday and in honor of National Jelly Bean Day, Lisa and I thought it would be a good time to list our 10 favorite candies. Come link up again next Tuesday, April 29 for World Wish Day, when the topic will be 10 Wishes You'd Love to Wish! 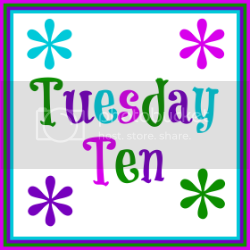 Don't forget to add the #TuesdayTen badge to your post or homepage!